Scenario 1: The Smith family carefully studied the assembly, fitting, and installation instructions for their car seat. In addition, they took advantage of a car seat “rodeo” hosted by their local police department. Officers trained in car seat safety checked the fit of their car seat and gave it a thumbs up. Little George, and only he, was riding in style and safety in his new car seat. 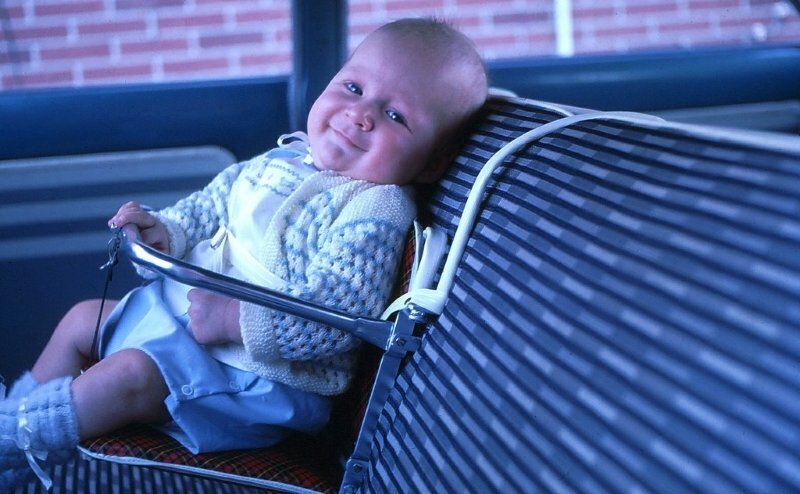 His parents felt confident they had done their homework and given George the safest alternative for trips in the family car. Scenario 2: The Smith family loves to travel and take George on adventures. They plan a vacation in Great City, USA and decide to fly to their destination. Anyone who has traveled with a young child knows how much equipment is involved. Between the stroller, diaper bag, carryon luggage and George himself, the Smiths are overwhelmed. While George’s car seat is approved for airline travel, it adds one more item to carry through the airport and will require them to purchase a seat for George. Since George isn’t yet 2 years old he does not need a ticket and can fly sitting on a parent’s lap. This solution makes the most sense, logistically and financially. Upon landing at Great City airport the family gathers their belongings and gets in line to take the next available taxi to their hotel. Car seats are not required in taxis, so Dad holds George tightly on his lap for the one-mile trip to the hotel. Scenario 3: The Smith family wants to go out for dinner while on vacation and decide to try Uber as it is likely less expensive than a taxi. They see that they can request a vehicle equipped with a car seat. When the Uber drive arrives the car seat isn’t a great fit for George and it seems to shift around on the leather automobile seat, but they are only going a few miles and George is riding between his parents in the back seat. In each scenario who made the decision regarding means of travel? In each scenario the vehicle in which the family is riding is hit on the passenger side by a car running a red light. The car impacts the vehicle carrying the Smith family at 40 mph. In which scenario is George least likely to be seriously injured? In all scenarios who is responsible for George’s safety and wellbeing? Yes, this is a very simplistic example. In fact, much like the warning about eating the silica gel, it seems like commonsense. On August 20, 2018 the American Academy of Pediatrics (AAP) issued new recommendations on car safety seats and cited car crashes as a leading cause of death for children, stating that, over the last ten years, 4 children ages 14 and younger died each day in automobile crashes. Granted not all these children would have been of the age and size to be in a child safety seat, but the new AAP guidelines extend to children up to age 12 depending on other factors. All 50 states and the District of Columbia have laws requiring child restraint systems at varying stages in a child’s life. Not all mirror the latest recommendation from the AAP, not all apply to taxis, ride share services such as Uber, limousines, or buses. Our sweet George is required to be in a car seat while riding in the family vehicle which is maintained and driven by one of his parents. However, in many jurisdictions George is not required to be in a car seat while riding in a vehicle operated for profit; a vehicle with an unknown history of maintenance and a driver about whom his parents know nothing; a driver who may not be taking sufficient breaks or is working multiple jobs diminishing his sleep time. Law and safety concerns create two vastly different sets of criteria. Children who ride in car seats in the family vehicle don’t need them any less if the vehicle is a taxi or an Uber vehicle. In fact, when you consider unknown vehicle condition and a driver who may have a less than stellar record, the case can be made that traveling in a taxi or Uber vehicle provides for more risk simply due to unknowns. Now that we have established that law in this case is a minimum, and safety is the goal, who is responsible for providing a car seat in a vehicle that is considered for hire (taxi) or ride share (Uber)? Most jurisdictions do not require taxi drivers to provide car seats. However, in some major urban areas, car seats must be provided if requested when the service is ordered. It is the driver who would be ticketed for a violation. So, let’s expand this to the question of whether Uber drivers should be required to provide a car seat if they transport children. We’ve already shown there is a gap between law and safety when it comes to this issue. Even if Uber drivers were to be legally responsible to provide car seats when transporting children, is this a good idea? George’s highly rated car seat in his family vehicle boasts 6 recline positions, a 10-position headrest, and the ability to grow with the child. Ultimately the safety of this car seat is dependent on proper installation and adjustment. Remember the car seat from Scenario 3? Not every Uber fare is going to need a car seat, so we are talking about multiple, possibly hasty, installations, de-installations, and fit adjustments. The law can require it to be there, but even in the family vehicle can’t dictate proper installation and fit; that is left to the parents. And let’s not lose sight of the fact that Uber drivers (like taxi drivers) aren’t driving strangers around because they seek friends and human interaction. These are for-profit entities. 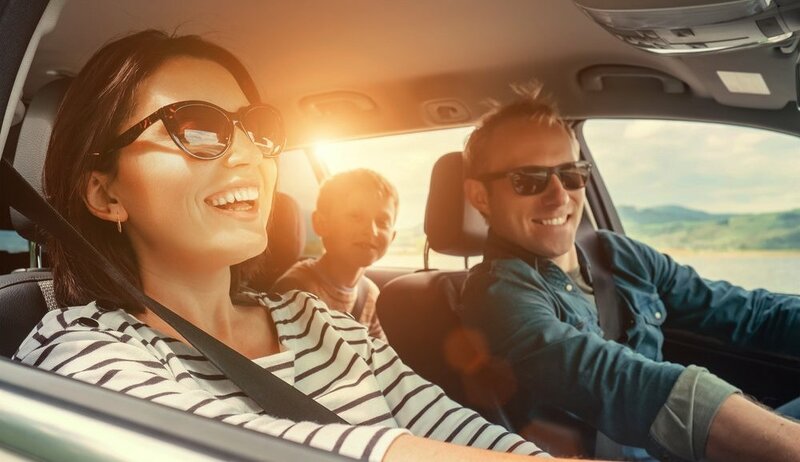 There are many ways to acquire a car seat, including online sites for individuals selling second hand goods, yard sales, and a neighbor’s trash. Recalls are extremely common among child care products, seats shouldn’t be used if they have been in an accident and the child product industry recommends a 10-year life span. In fact, some car seat manufacturers consider the warranty void if the seat is used in a commercial capacity. If new car seats are equal, and they are not, then used ones are a whole different level of unknown. Just how clean do we think a car seat would be in a pay-to-ride type vehicle? And did someone say “yuck”? Parent reviews regarding popular car seats often mention ease of cleaning. Car seat users are in diapers that are not always clean and often fail, eating snacks, drinking milk and juice that absorb into padding, wiping noses and a host of other perfectly normal things that result in bacteria. Just how clean do we think a car seat would be in a pay-to-ride type vehicle? In 2014 scientists at the University of Birmingham in the United Kingdom conducted a study that determined children’s car seats have double the dangerous germs found on an average toilet. Swabs found an average of 100 potentially dangerous bacteria and fungi per square centimeter. A toilet had about half that number in the same space. These studies were conducted in family vehicles with car seats used by children in the same family compared to toilets in family homes. A “public” car seat would likely be comparable to a public toilet. For a family going out for dinner, life is certainly simpler if the Uber driver provides the car seat. The restaurant will provide the high chair and the parents aren’t feeling like pack animals. Parenting a small child can, admittedly, be overwhelming. Convenience can become a luxury; would the Smith family let sweet George play with a public toilet? It is a parent’s responsibility to define and ensure the best interest of their child. 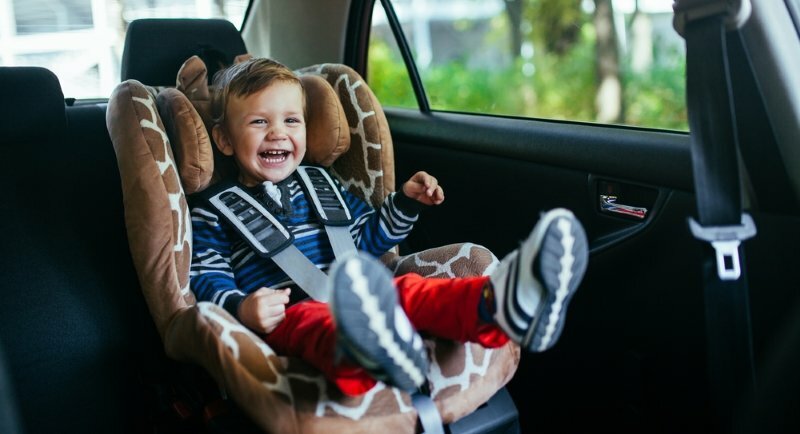 Laws, while varying greatly; and research, which is fairly consistent, both indicate that child car seats are in the best interest of the children they are designed to protect. All drivers transporting children should be required to have them in an appropriate car seat. If a neighbor, grandparent, or child care provider transports a child they are responsible for ensuring the child is in an approved car seat in compliance with local laws. If an Uber driver or taxi driver transports a child, they should be responsible for complying with local laws regarding child car seats. In an automobile accident a child not properly restrained is likely to be injured. And, that injury will be the same whether it is the family car, a taxi, or an Uber vehicle. The question is responsibility for providing that car seat. If an Uber driver is required to provide a car seat then liability for condition, installation, customized fit, compliance with recalls, and sanitizing could reasonably be the responsibility of the driver. All of that requires time and involves increased protection against lawsuits which translates to higher liability limits and increased insurance costs. It follows that Uber drivers would need to be certified to install car seats since these seats would be removed and re-installed frequently depending on passenger and personal use needs. This would require a system of training and monitoring of compliance. Sanitizing of car seats would also require standards, with a system of inspections. The reason Uber is a cost-effective alternative in many markets is because it is not subject to the same regulatory requirements as traditional for-hire vehicles. As Uber drivers become the subject of more regulation and requirements, their costs increase, and charges to consumers increase. Eventually Uber and traditional taxis become one and the same. Is the driver responsible for the safety of a child? Law, liability and convenience are not intimately related concepts. If a driver is required to provide a car seat, are they then assuming liability for its condition, cleanliness, installation, and freedom from recalls? If a parent travelling with a child contracts with a driver to take them safely from one point to another, is the driver responsible for the safety of a child, given that the car seat isn’t part of the factory installed equipment of the vehicle? My parents jokingly say that parenthood is not for wimps. Law and liability are ultimately financial concerns. Convenience is great, but not when it endangers a child for whom the parent or guardian is ultimately responsible. Don’t eat the silica gel, and don’t leave your child’s safety up to a stranger.